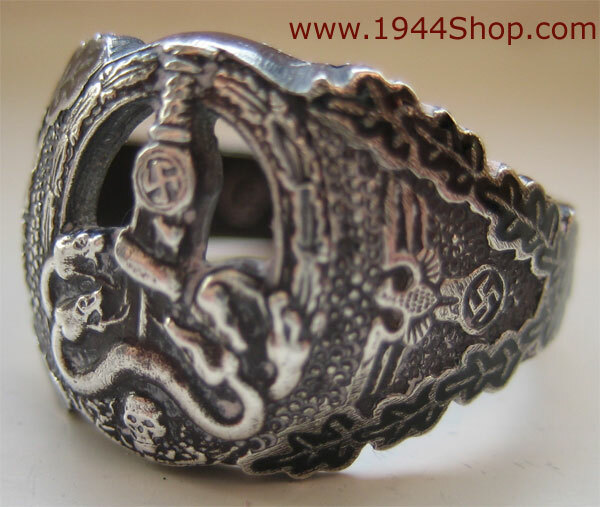 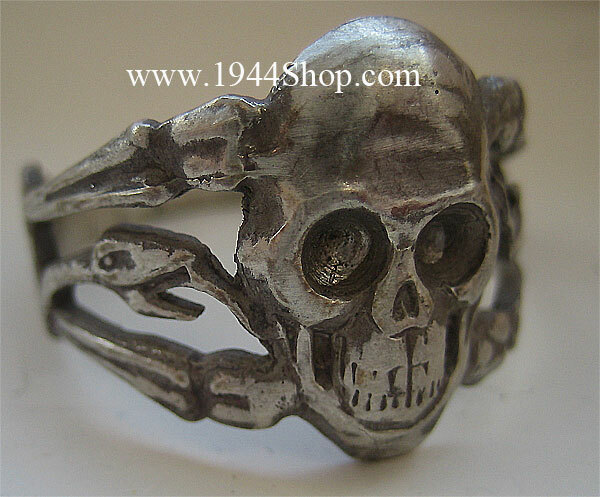 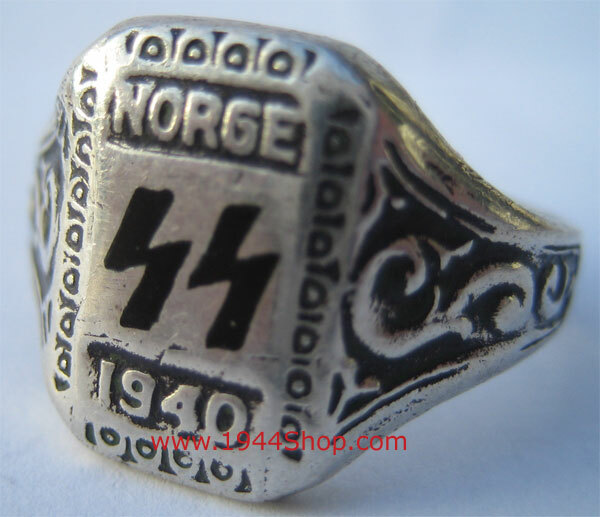 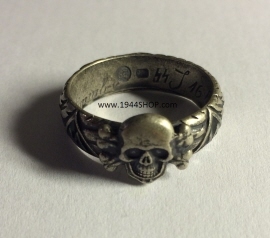 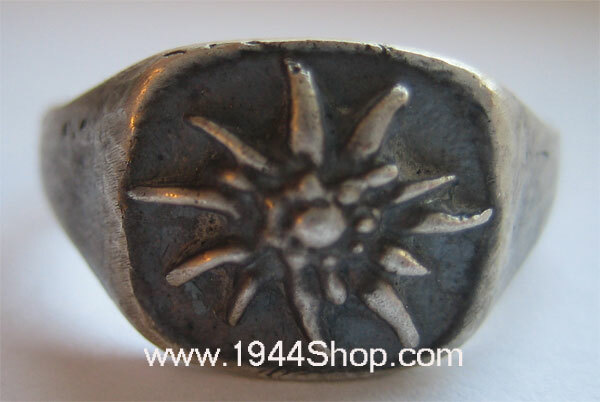 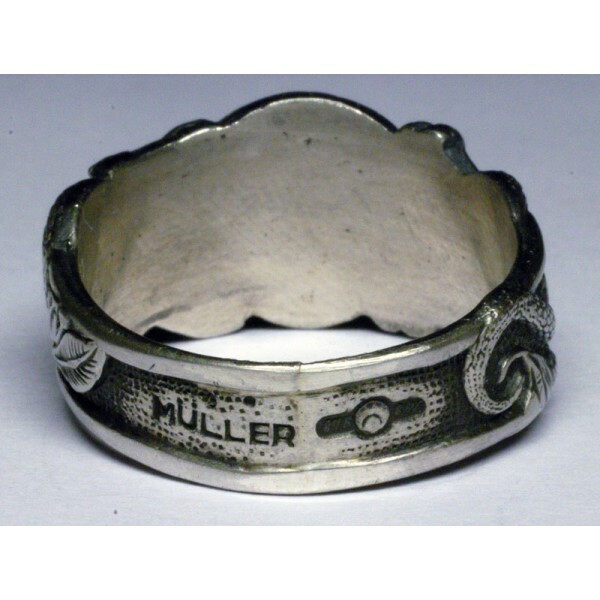 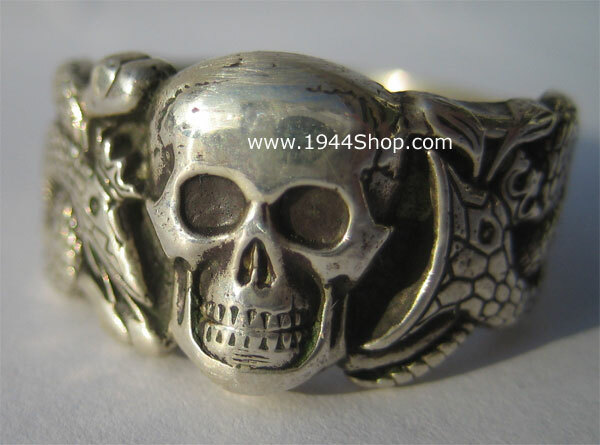 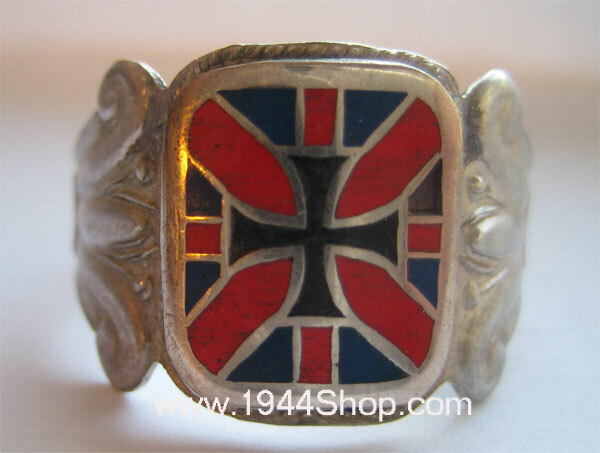 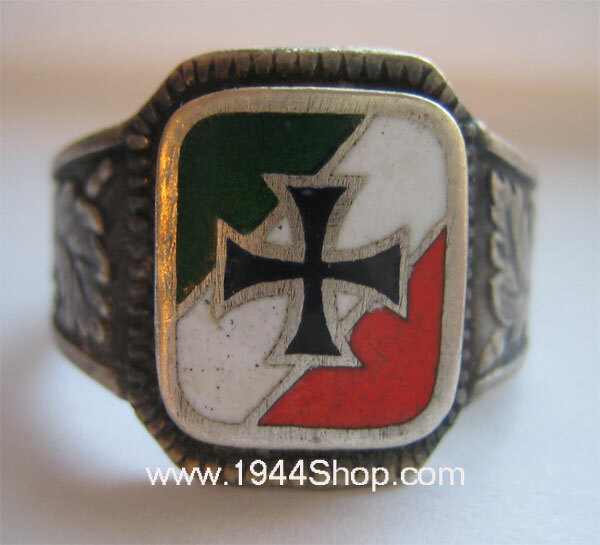 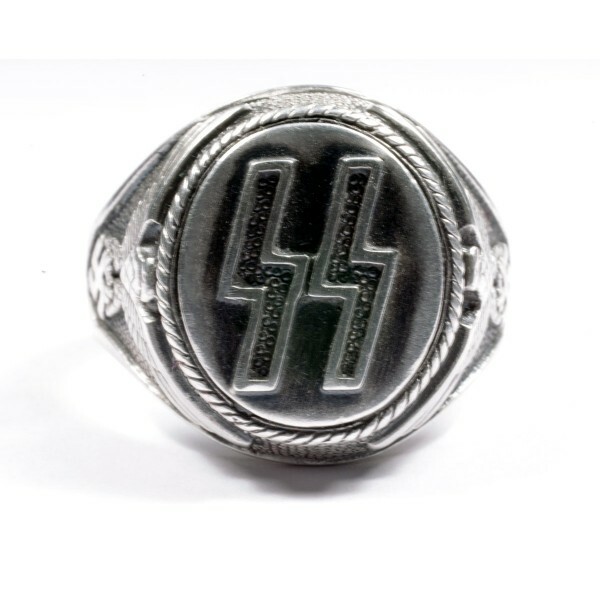 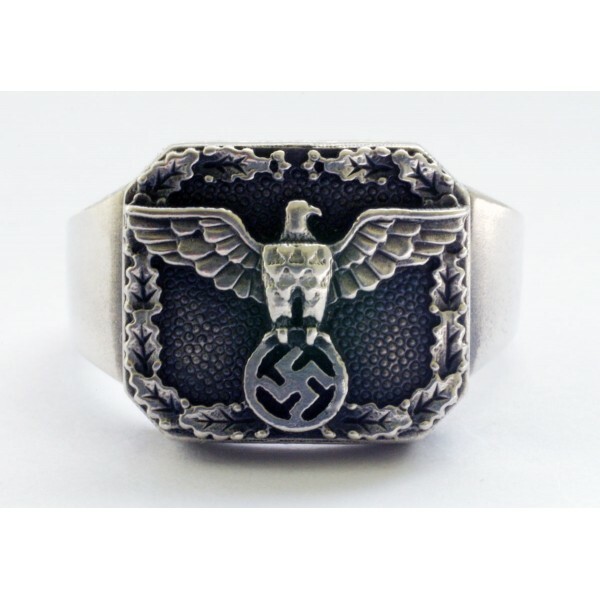 SS Officer's Anti Partisan Honour ring. 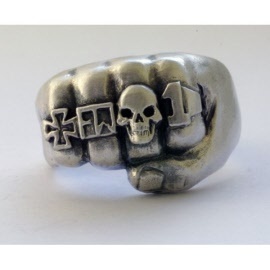 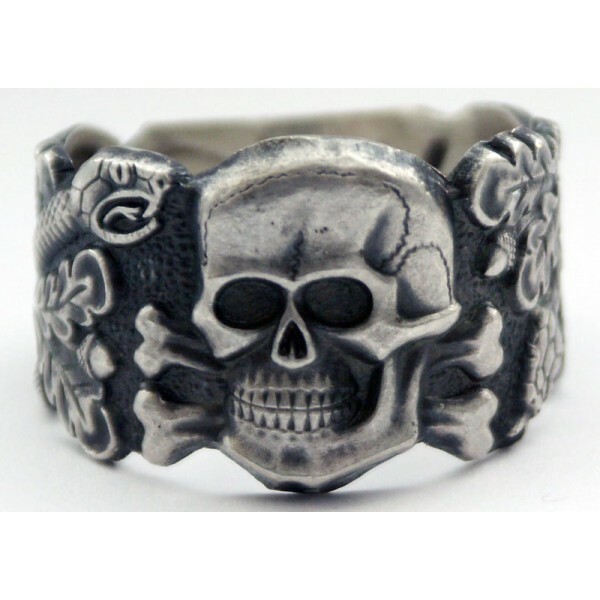 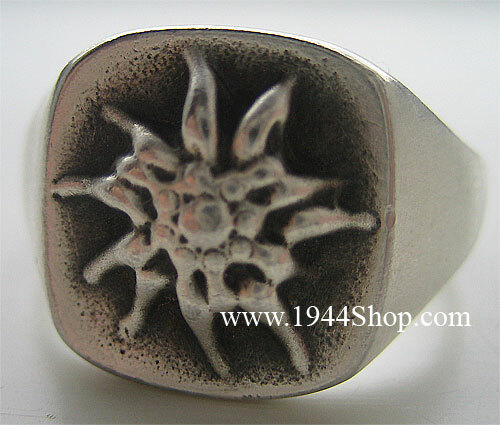 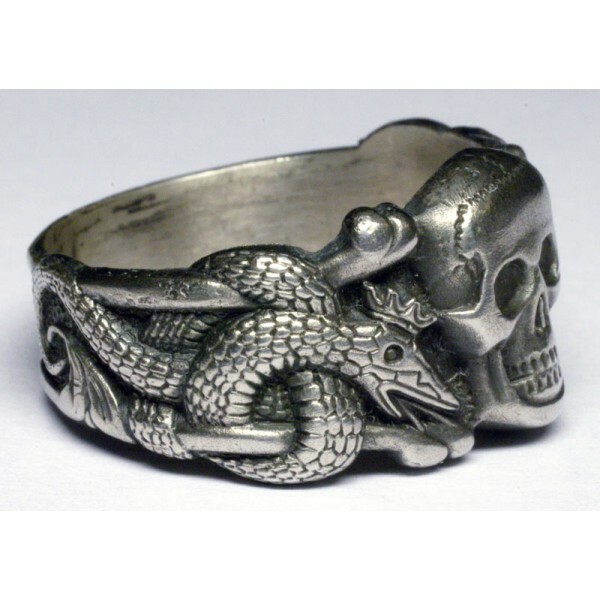 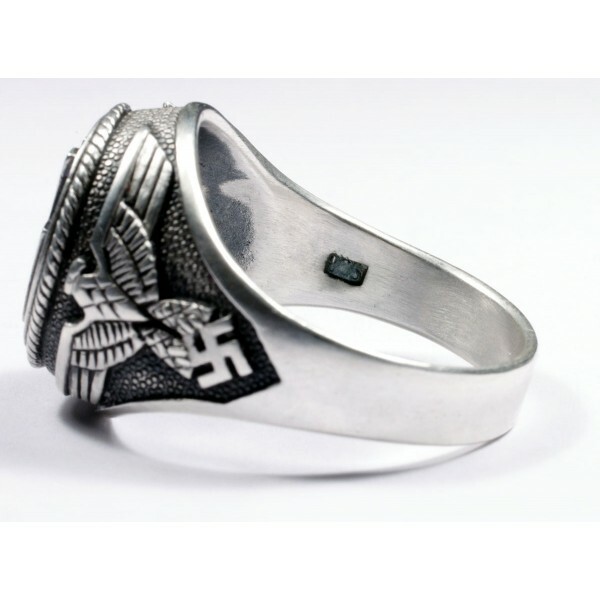 This massive ring copied from an original obtained in the Soviet Union, was reputedly worn by high ranking SS Officers engaged in anti-partisan operations in the East. 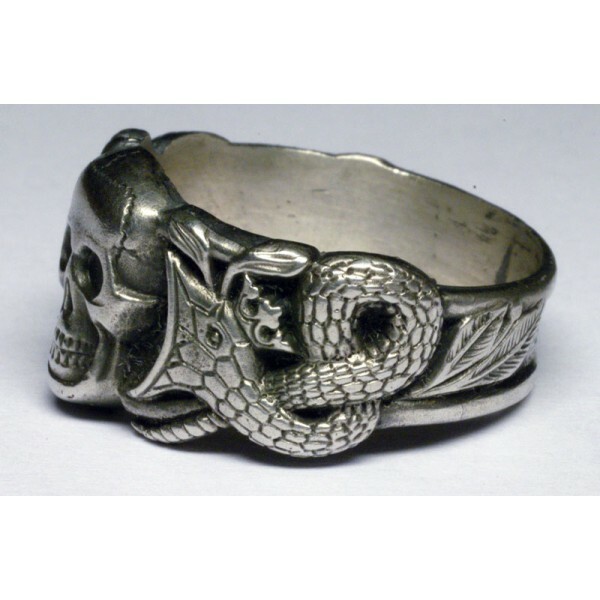 With large central skull motif flanked by snakes and oak leaves. 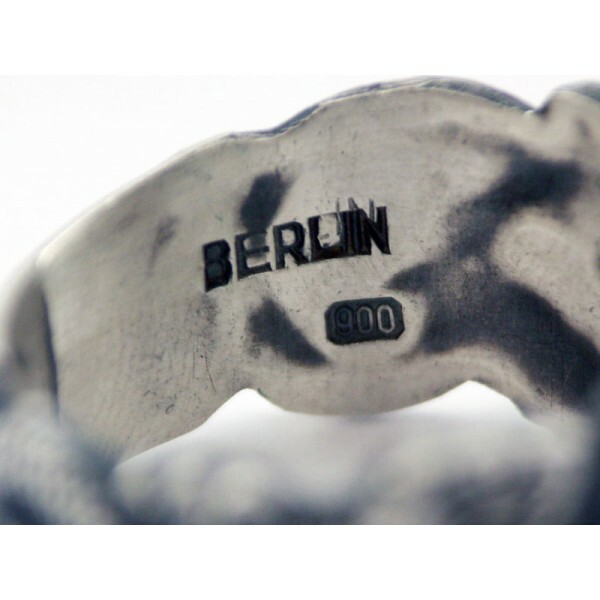 Marked inside "Berlin" and "900". 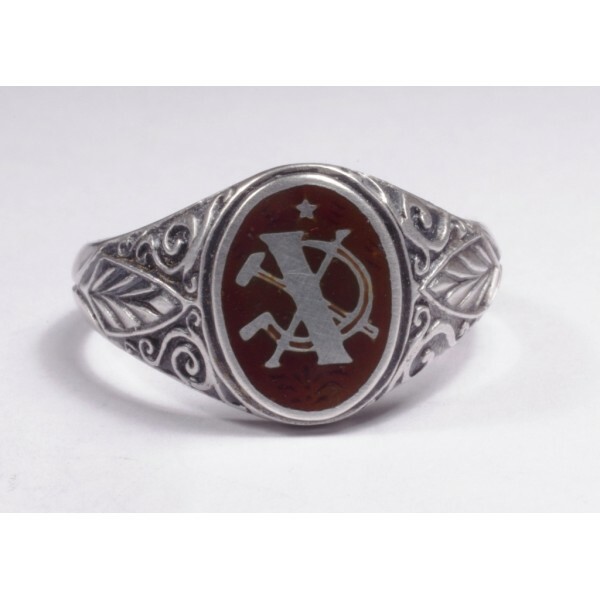 Marked inside "900" and "RZM"
A ring features centerpiece with glass enamel a miniature representation of 10 Year Service of a KGB Officer emblem. 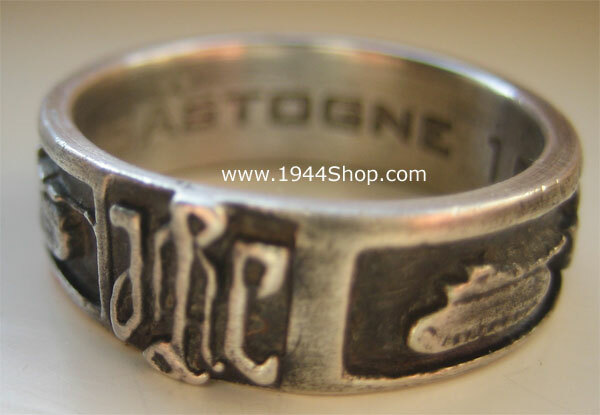 Marked inside "Bastogne 1944/45" and "SS"
Some marking inside, but hard to see what. 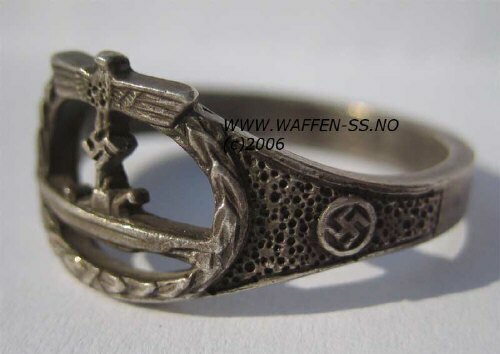 Not silver. 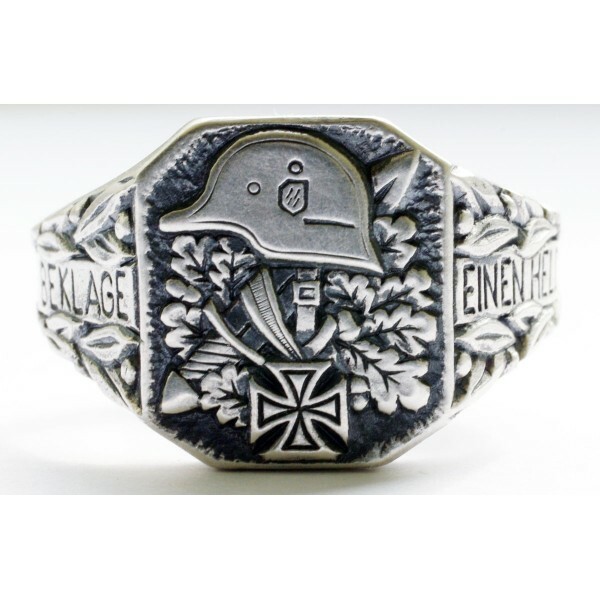 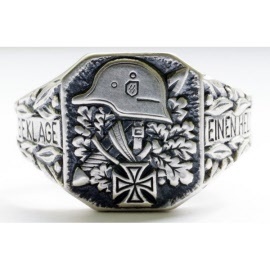 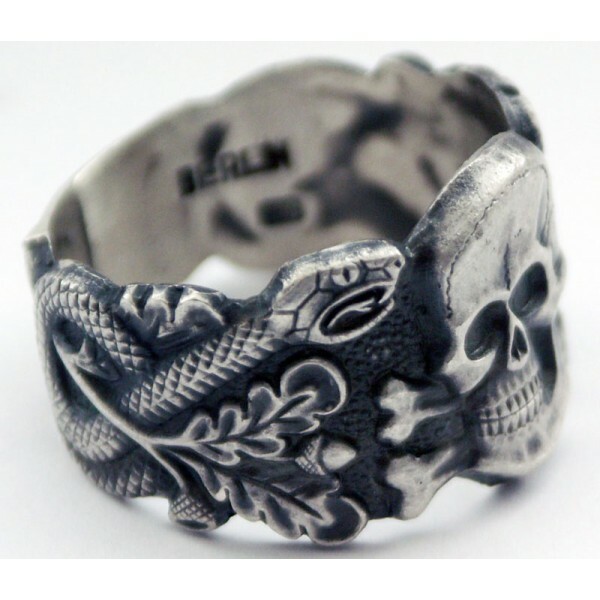 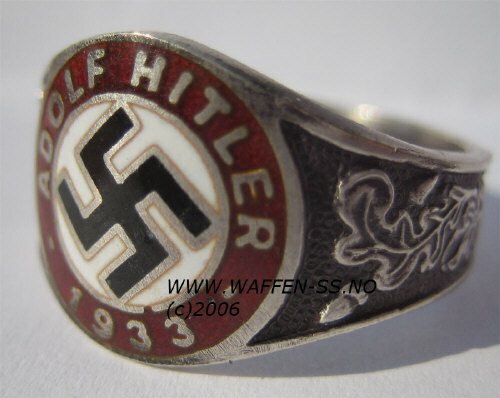 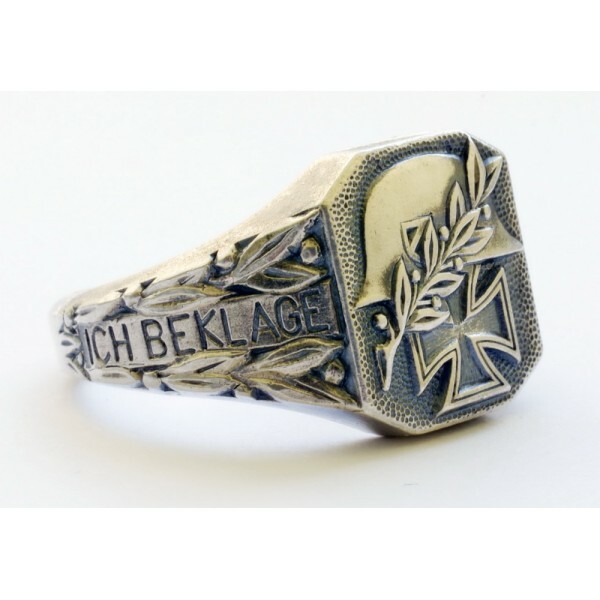 Ich Beklagen Einen Helden "SS"
A ring with helmet, sword and iron cross in a centerpiece, band is formed by laurel leaf wreath.Write in German ICH BEKLAGE EINEN HELDEN - translate to English - I MOURN ONE HERO. 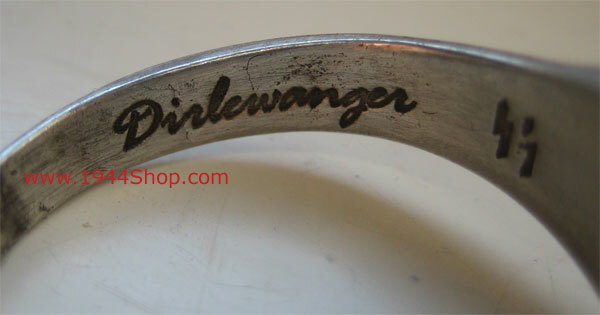 Ich Beklagen Einen Helden "Heer"
The Ring mark inside 835 and Markers mark is GS. 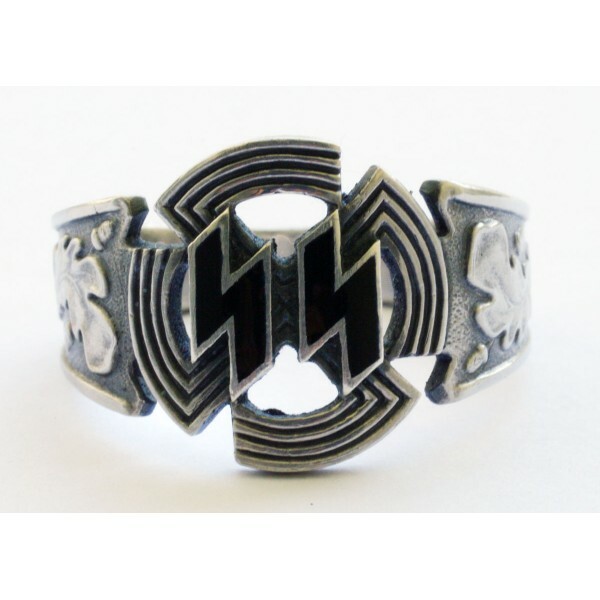 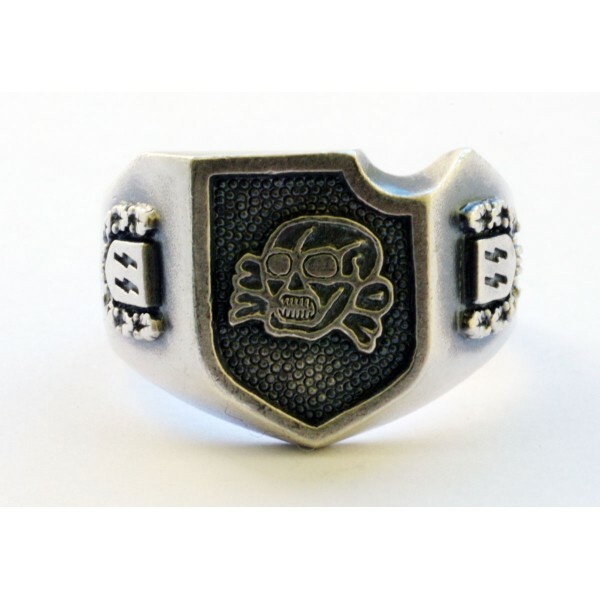 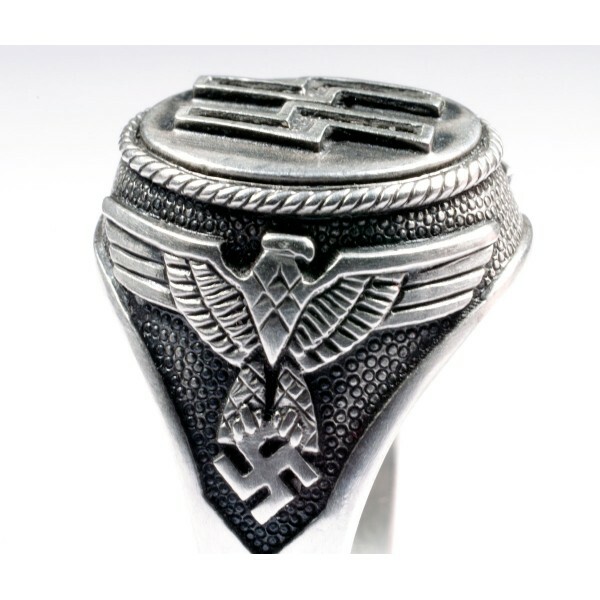 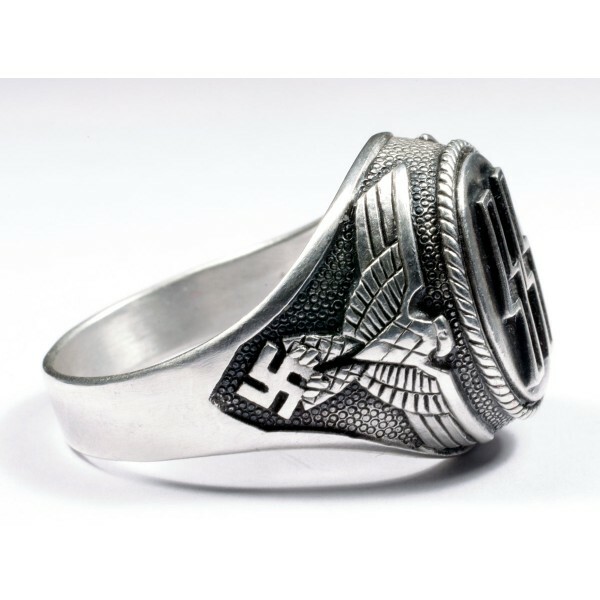 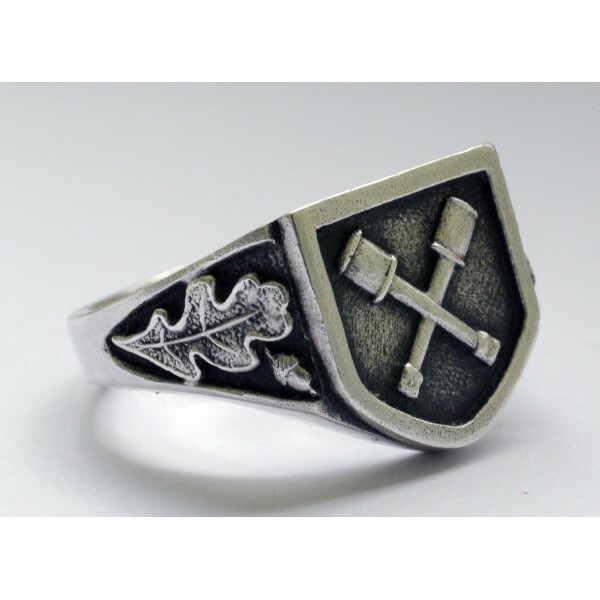 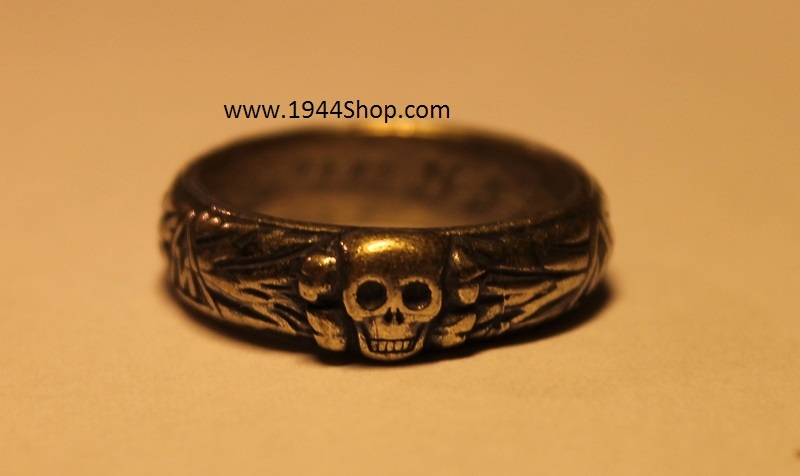 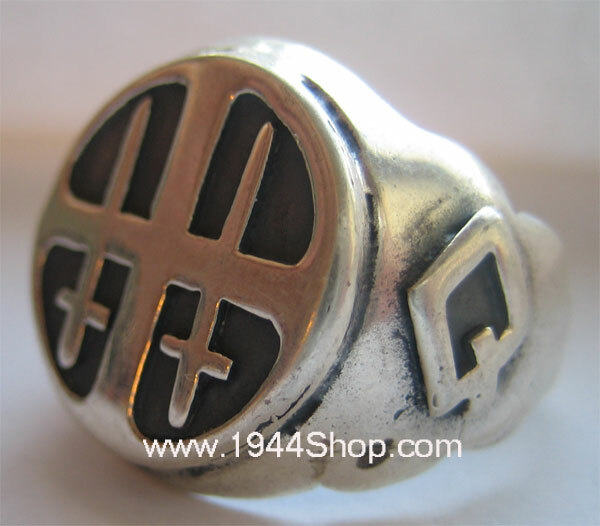 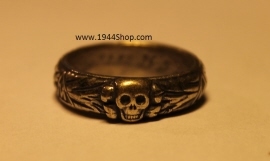 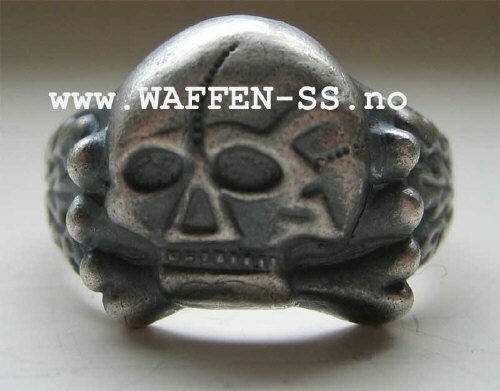 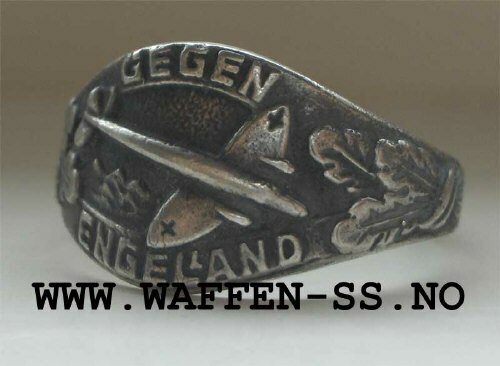 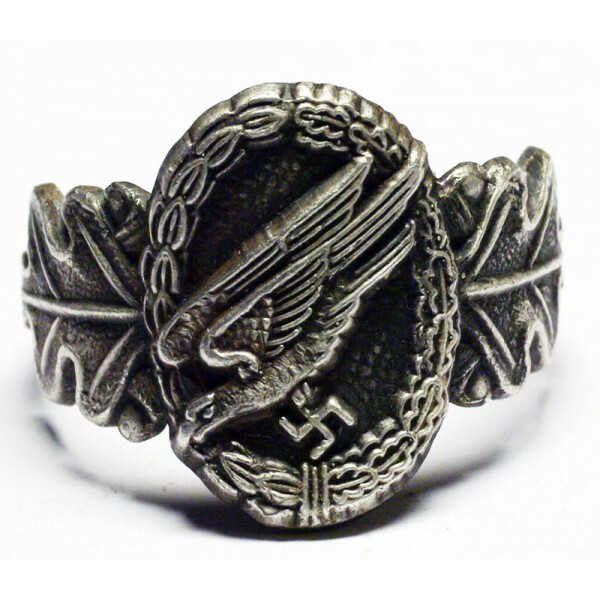 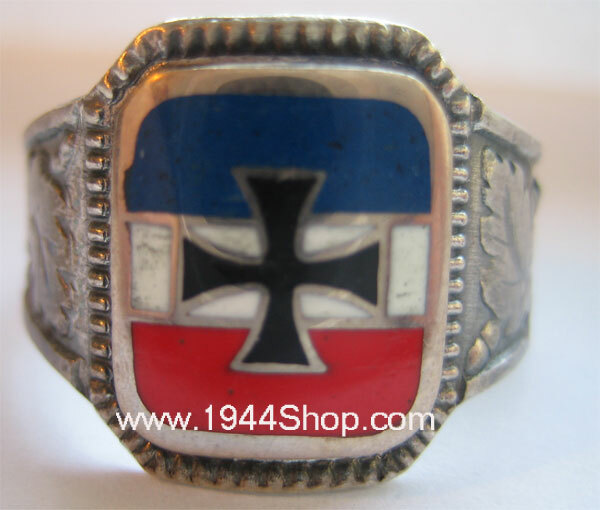 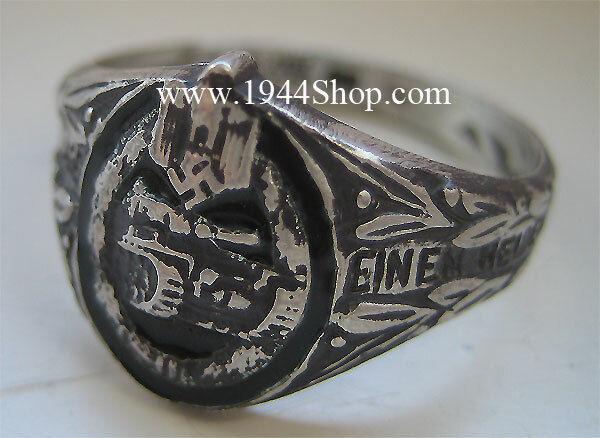 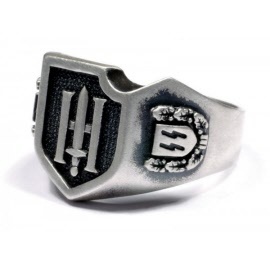 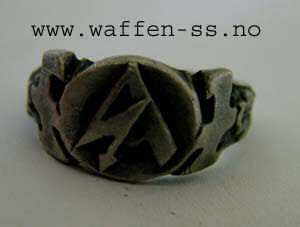 Ring with the 3rd SS Panzer Division "Totenkopf" symbol in a centerpiece band is formed with the shield,which focuses on SS symbol.The shield includes oak leaf wreath. 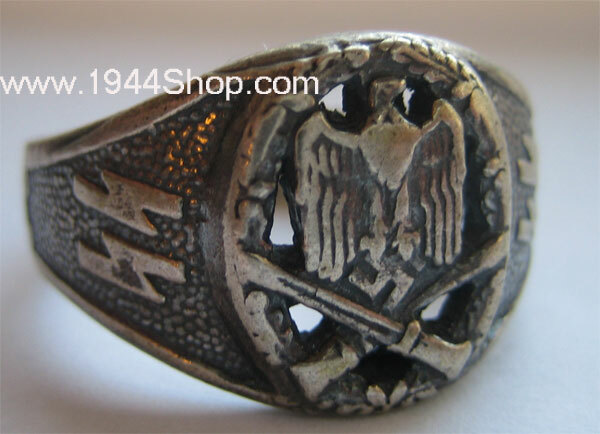 Marked inside: "900" - "RZM" - "SS"
Big German eagle on front. 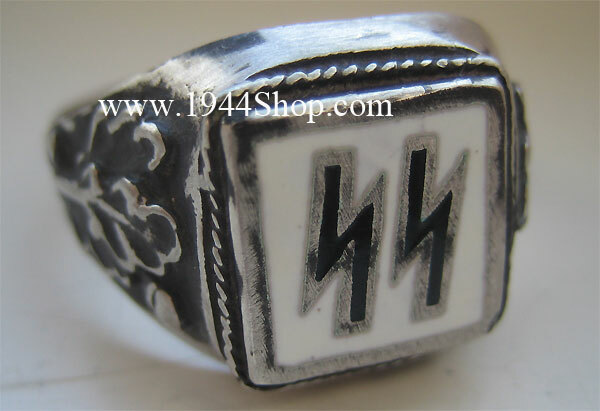 Marked "835" and "GS". 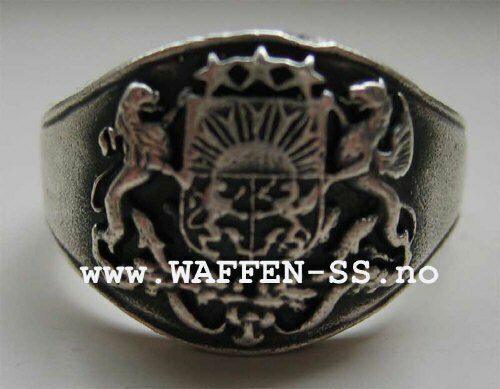 Marked inside "Haugesund" and "830 S".